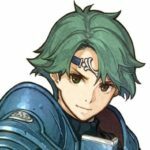 This article summarizes the recommended characters to recruit in Alm’s Party in Fire Emblem Echoes: Shadows of Valentia. It consists of characters, their Map location, details, and roles. Please follow this link to view the Recommended Characters to recruit in Celica’s Party. The brave protagonist of Fire Emblem Echoes, it is crucial to train Alm and prevent his defeat throughout the progress of the story to avoid losing the game. Bear in mind that you need to assemble a formidable party since during the latter stages of the game, the difficulty will drastically change. Stats-wise, his growth rate is superb, with highly commendable initial stats during the early stages of the game. He can rank up to Hero and freely wield both the Sword and Bow, allowing him to counter even enemies from afar. Weapons-wise, his starting weapon, the “Sword of Izuma” is not to be overlooked. In addition, he also receives a precious “military sword” during the advancement to the middle stage, which gears him to the teeth for combat. Once he earns the “King’s sword” he will learn the Weapon Skill “Lion slashing sword,” which makes him the fearsome damage dealer. In addition, this Skill’s has high accuracy, allows double attack and prevents the opponent from countering it which makes Alm a force to be reckoned with. What hampers Alm is his absence of class changes. Since the growth of his stats will be limited, it is necessary to capitalize on the Holy Well to promote his Stats’ growth. 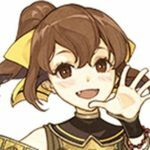 A cheerful mage, in terms of Spells, Delthea carries a wide array of tools to be used in several situations. She can cast Seraphim against Monsters, Aura an offensive Black magic at the expense of a reasonable MP cost, and Ragnarok which strikes the enemy severely enveloping it in the vortex of flames. It is not necessary to learn the magic that has covers 3 tiles since if Delthea equips a Magic ring, she can extend her range. To recruit Mathilda, you must not defeat her during the encounter. 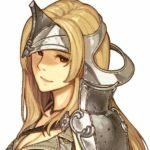 She belongs to the Paladin Class, an advanced class of the Cavalier, which has naturally higher stats than most that you encounter early in the game. Her growth rate is exceptional which makes her one of the best Cavalier units. Since she’s mounted, she can easily navigate her way through the battlefield to reach even the most distant of enemies. 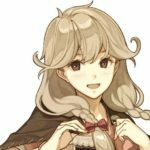 Faye is one of the new characters which did not appear in FE Gaiden. It is recommended to promote her from the lowly Villager to the Cleric Class. In this way, she learns Physic very early in the game to support the party when healer classes are still scarce. With Rescue, Faye can come to a troubled ally to provide some assistance when in dire situations. By ranking up to Saint she becomes much more valuable as a team player to provide 5 HP for every start of the turn. As a bonus, at the start of the turn Faye can heal 5 HP of any adjacent allies by the time she class changes to a Saint. Since Alm is one of the best dedicated walls, Faye can focus on supporting him by placing her on the adjacent tile. Even though Tatiana appears much later in the game, her Skill Fortify can replenish the HP of party members within her radius. This makes her a significant character to be used during the final battle. Similar to a high tier Faye, she functions as a great Saint. Physic is a Skill that only Tatiana can learn among Alm’s party. It is a White magic spell that replenishes the HP of all allies within range of her. 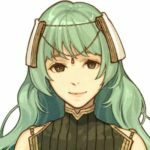 Given Tatiana’s commendable capability, she becomes a valuable support ally for Alm during the final battle. With Seraphim, Tatiana now exerts some pressure against enemies as a damage dealer to punish surrounding enemies with an effective spell. You forgot to mention that Faye gets a spell that allows another unit to move again, like dancers in other games. This is one of her best selling points BECAUSE she is the only character able to learn the spell.